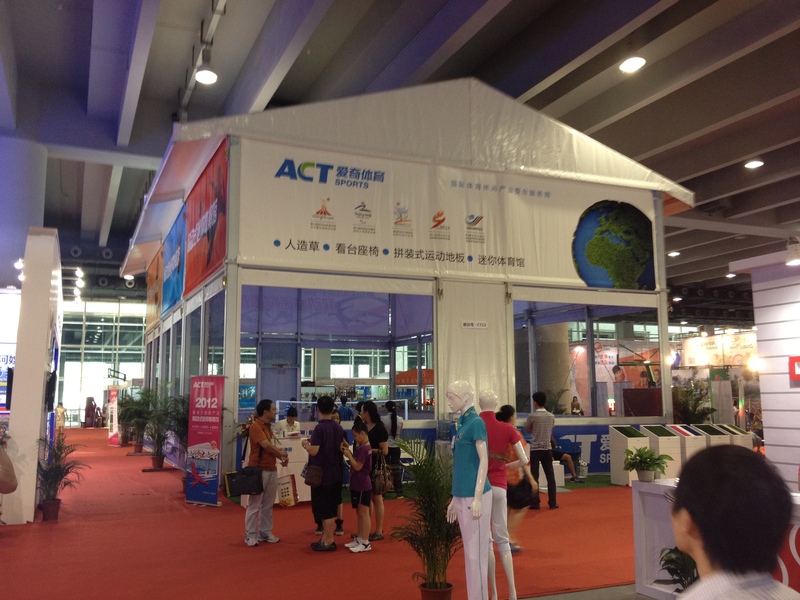 Sport Event Tent is a movable sports tent. It is able to provide an indoor environment at almost any place for various sports. The eave height is 7m. The customized design is available for size and accessories. 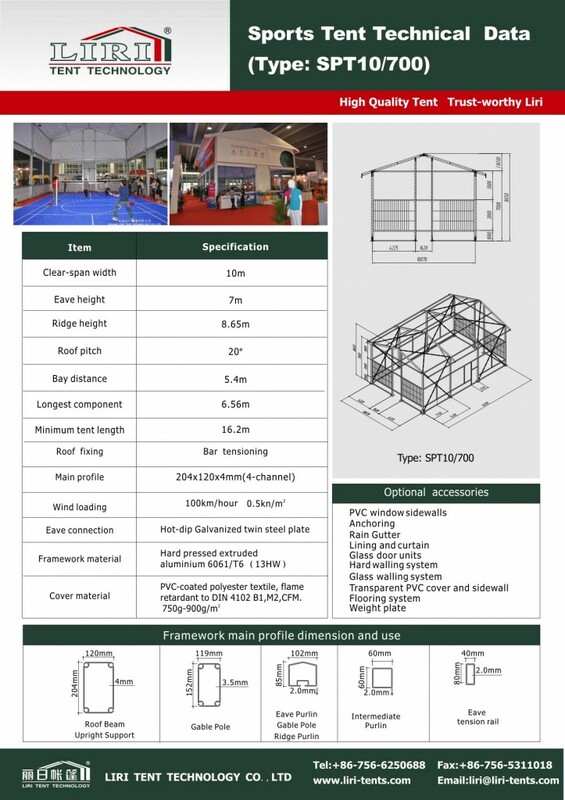 Tent has become a very popular temporary sturcture for different kinds of activities, therefore, sport tent will be a very good option. White Marquee Tent for sport are available in clear span width of 20m, 25m, 30m and more. . All of the big tent with a standard side height of4m. 20x50m White Marquee Tent for Church are a modular design which can be increased or decreased in 5m. The main frameworks (upright support and roof beam) are manufactured with 4 channels in the size of 152x119x4mm hard pressed extruded aluminum. The sidewalls and the roof covers are manufactured with 850g/m2 PVC-coated polyester textile and flame retardant to DIN4102 B1, M2. It is easy to assemble and dismantle as well as convenient to store because of its small volume. It has a wind load of 100km/hr. The fabric is available in both block-out and translucent.